Gold for June delivery dropped $14.10, or 1.1%, to end at $1,277.20 an ounce on the Comex division of the New York Mercantile Exchange. The settlement was the lowest for a most active contract since the close at $1,273 an ounce on Dec. 26. "Gold came for sale on heavy volumes at the open this morning, breaking down through key support in the mid-$1,280s thanks to broad, risk-on money flows and more specifically, rebounding interest rates," MarketWatch quoted Tyler Richey, co-editor of the Sevens Report. 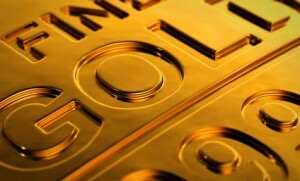 Gold futures ranged from a low of $1,275.50 to a high of $1,291.70. They declined 0.3% on Monday. Silver for May delivery shed 6 cents to settle at $14.915 an ounce. Silver futures traded between $14.83 and $14.94. They edged up less than 0.1% on Monday. July platinum fell $10.30 to $884.20 an ounce, ranging from $880.60 to $896.60. Palladium for June delivery declined $6.30, or 0.5%, to $1,328.40 an ounce, trading between $1,325.70 and $1,347.80. Gold fell $9.30, or 0.7%, to $1,276.35 an ounce. Silver rose 1 cent, or less than 0.1%, to $14.945 an ounce. United States Mint bullion sales registered increases of 500 ounces in American Gold Buffalos and 500 onces in American Platinum Eagles.